411 Freebies And More: Meijer Members - Get a Free Gallon of Milk Loaded on Your Card! 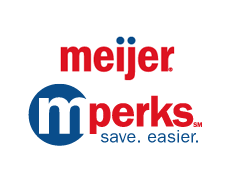 Meijer MPerks Members can get a FREE gallon of milk loaded onto their card. Register or log in to your account and enter code:FREEMILK. Your coupon for a free gallon of Meijer Brand Milk will be loaded on your card. Offer valid through 1/19.